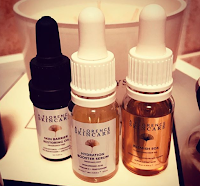 A. Florence skincare went from being one of my favourite skincare brands of 2018 to my obsession and my saviour, this continues into 2019, in no way do I exaggerate, this brand and products literally gave me and my skin hope when I was certain I would have to start all over again, the love is real, the respect endless. 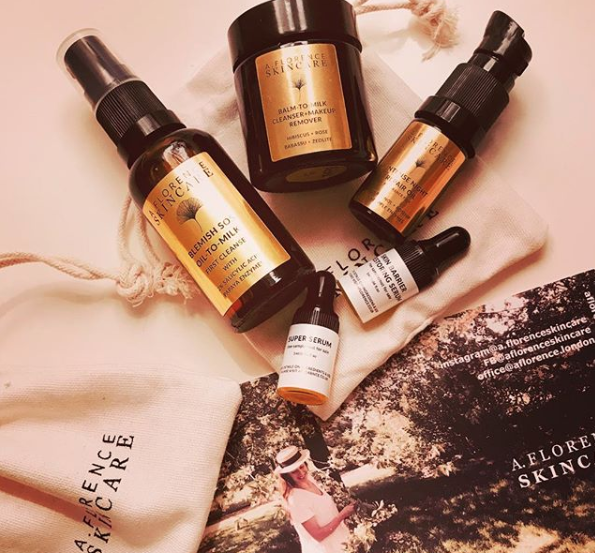 A. Florence, as a brand are dedicated in their research and development of products, sitting firmly on the holistic side of skincare, the ingredients and the formulations that follow have a balance that will gently repair impaired skin. This resonated with me after my own experience of damaging and over-sensitising my skin's barrier and having a diagnosis of rosacea. I was listed so many ingredients to stop, I visualised all the pretty pots, jars and bottles that would and have become redundant in my routine, now. But, there was a silver lining, A. Florence was the brand that beyond any other saved my skin and gave me hope that using the right combination of, allowed products, I could at least gain control and treat my skin, whilst hopefully, repairing the damage I had done with over exfoliating and not always gardening smeared in SPF, let that be a lesson to you. I jumped into the brand and grasped at the balm to milk cleanser, no surprises there, pure damn luxury from the moment I unscrewed the lid and revealed a mass of a tarnished rose coloured balm, a silky texture that transforms into milky consistency with the addition of water, and scent like no other. 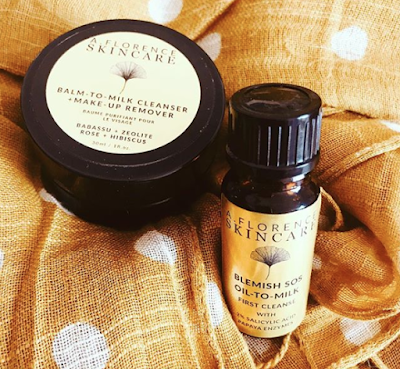 This organic balm has something rather magnetic about it, negatively charged Zeolite, this draws positive toxins from the skin and throws them to hills with a simple rinse or swipe of a cloth. I've bought several, such is the love and they come in two sizes, perfect to keep one at home and one for travelling. 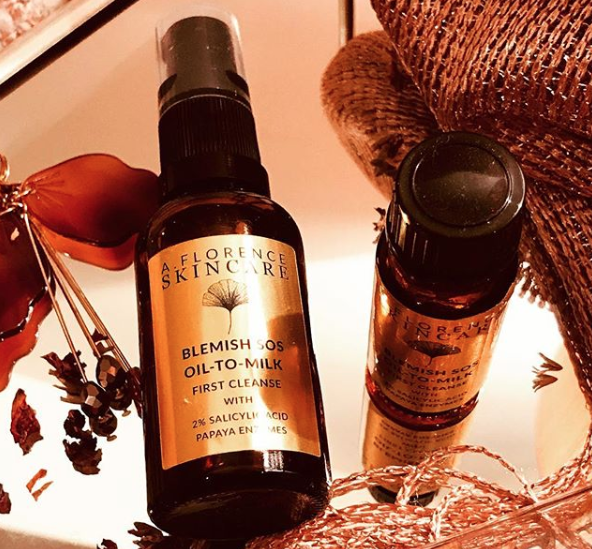 Then I was kindly sent a sample, before its launch, of the Blemish SOS Oil To Milk Cleansing Oil, this is fabulous, just fabulous, it removes detritus from the skin without stripping it, but, continues to care for the integrity and helps repair dermal damage. My biggest love was how soothing this was for my skin, it also gave my skin life, which I so desperately needed after stopping so many fragrance & essential oil heavy products. I feel a drum roll would be appropriate at this point, two of three favourites, the Burton & Taylor of the brand, once used, never forgotten and a repeat order is a must, time and time again. The Skin Barrier Restoring Oil is essential oil free, the blend of cholesterol, ceramide, phospholipids and Linoleic acids bolster, build and feed vulnerable skin, it's a blanket that snuggles down and makes everything nearly ok again. The soothing oil glistens on the skin, it softens and protects, encouraging the proper function of the skin. 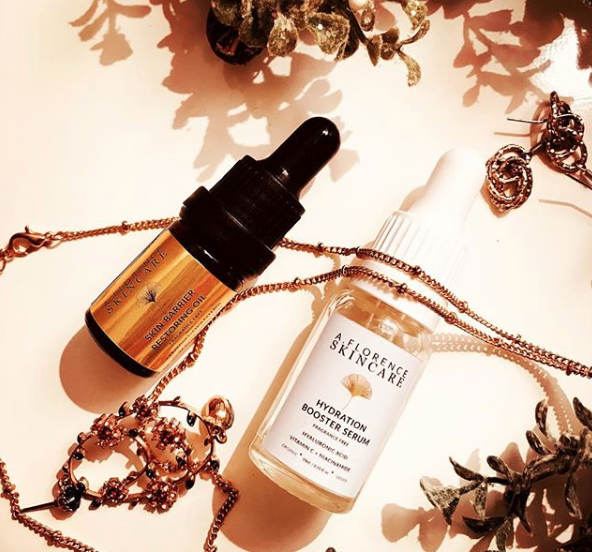 The Hydration Serum was a surprise, in general, I have never found a Hyaluronic product that has truly impressed and truly hydrated, more so, I have found them to be dehydrating for my skin. So, this peptide, Vitamin B3, low and high molecular weight Hyaluronic acid completely won me over, alone and blended with other skin care products it gives me healthy skin, no dehydration and it also eases inflamed skin. I've had a large bottle, a sample bottle and I will be ordering more, it is a must in the A. Florence collection. And now the end is nigh, the final curtain, not quite, but, the Daddy Bear of a product, the one that gave me hope that this precious brand could keep me sane as I lost control of my skin, The Blemish SOS Oil. My skin was angry red, inflamed, bumpy and it was getting worse, I threw all my skincare onto my bed and switched off the emotional part of my brain (98% is emotions, and, I delved into the sensible bit, lurking behind the other per cent that does a poor job at controlling the amount of cake I eat). A. Florence in all its glory leapt out at me, I had been continuing, stubbornly, my rotation of skincare and thinking I could create the 'perfect' routine that would fix my errors, so, the brand was not part of that rotation, stupid is the only word that fits here. 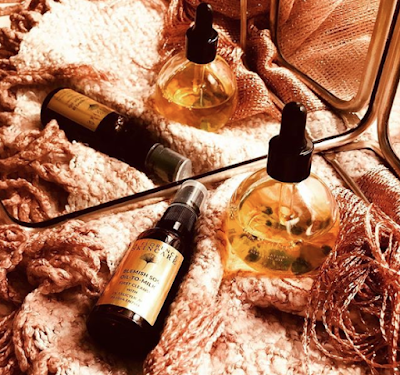 I gathered all the jars and bottles together and dropped eagerly the Blemish SOS from the pipette onto my skin, this sunflower coloured oil streamed down my face, I blended into the areas that were traffic light red and walked from the bathroom. Within half an hour, maybe even less, I certainly ran like the wind to my phone to share the wonder that had befallen me at my mirror, no redness, the skin smoother, bumps and lumps be gone and there was my skin, a little of what I had back before my eyes. There are still products I have yet to try, ones I have had as samples and liked, but, my focus has been on the ones that have really made an impact on me and my skin for the better, the A. Florence website is packed with all you need to know about the brand, the ideology behind it and each product has such in-depth descriptions, ingredients lists and super helpful sections on the who the product is suitable for. 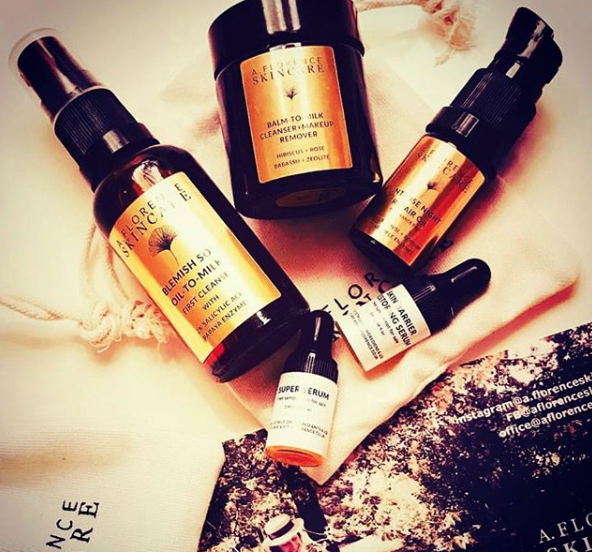 The care taken, the advice offered and the results that are plain to see, the safe hands of A. Florence skincare is where I continue to be.